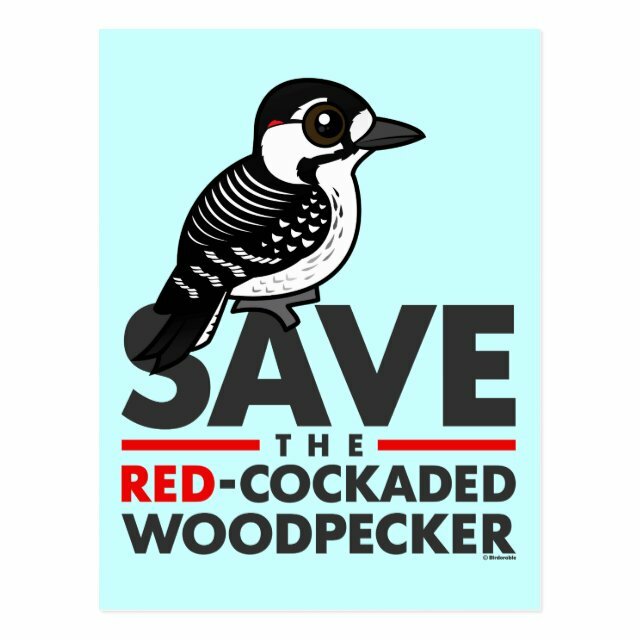 Red-cockaded Woodpeckers are part of some serious conservation efforts. Their nesting criteria are very specific and the trees they need for breeding aren't available in sufficient numbers to sustain a healthy population in some areas. Scientists help the woodpeckers along by pre-drilling nest holes for them in their preferred trees, in suitable habitat. How about that? You can customize this gift! Move the design around, change the background color or style, add text or images -- make it your own! Keep in touch with Zazzle custom postcards! Add your favorite image to a blank postcard or say “hi” with a pre-existing design. Save paper and mail a note without wasting envelopes! 4.25" x 5.6" (portrait) or 5.6" x 4.25" (landscape). Printed on ultra-heavyweight (120 lb.) card stock with a gloss finish.